My husband and I got married almost a year ago, and it’s been quite a whirlwind. Our relationship with his mother had been getting increasingly toxic after we got engaged and particularly after the wedding. We had moved to her city two years ago, but because of her toxicity, uncertainty with our careers, and general dislike for the city, we decided to move to where my husband’s father and stepmother lived; it had great career prospects, was significantly closer to my family, and, most importantly, the in-laws were ecstatic about the idea. We lined up jobs, packed up our apartment, and moved. At my father-in-law’s insistence, we moved in the upstairs of their 3-bedroom house. The agreement was pretty standard: We could stay rent-free, have full-use of the kitchen and the entire upstairs, and would help with the weekly cleaning. We were so close to buying a house, so it sounded like a good deal to us, especially since they were both so enthusiastic about having us nearby. Things did not go so well. Two weeks after moving in, my husband’s stepmother’s estranged son died. He was only 35 and they hadn’t spoken in 10 years, she was cut out of his wedding and his deployment and completely had no contact, so it was terrible and confusing news. The in-laws went to the funeral that weekend, and my husband and I stayed behind. The day they returned my husband’s stepmother had a complete meltdown. While they were gone, we had forgotten to do a few things, such as empty the lint trap and put a pan back in its exact place. She started screaming, calling us blind, retarded, lazy, inconsiderate. She even told my husband that even his mother doesn’t love him and so maybe he needs to change. We spent the evening crying and said that we would move out and find an apartment to rent. My father-in-law begged us to stay and talked with my husband, blaming the funeral for his wife’s outburst. Unfortunately, we stayed. Although a blow-up to the same scale has not happened, the stepmother remains very cruel to us. She is essentially on a witch-hunt to find things we have done wrong, and she has repeatedly threatened that she will break our stuff since we disrespect hers. We can’t enter the kitchen without being glared at and we receive cleaning lists like we’re children, which we are expected to complete enthusiastically. She could spend whole evenings complaining about my husband and his brother and tells everyone who will listen that she can’t have nice things because of her stepchildren. She even created a list of home projects she wants my father-in-law to complete since he offered to help us do a few things around our house. I’m miserable and depressed, but, luckily, we’re only two weeks from moving out. It’s too late to get out immediately, but it’s not too late to get out now. Why stay there two more weeks? Do you know how much more damage can be done in two weeks? Don’t give yourself a chance to find out! Get out! This isn’t the time to cut costs or pinch pennies. Spend the money it’s going to cost to stay in a temporary place for the two weeks until you can move into your new home. Give all of you the gift of some distance and perspective. In the future, avoid spending time with your father-in-law at his home if his wife is going to be there. Agree to meet in neutral spots, like restaurants, public parks, movie theaters, malls, etc. 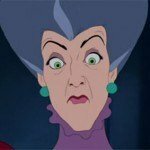 Unless the stepmother has freaked out on you in public places, you can assume those spots are “safe” … or at least safer than the privacy of someone’s home (especially hers). Be as compassionate as you can with both your father-in-law and the stepmother, because there’s clearly something wrong, beyond your garden-variety grief. To be estranged from a son for ten years and to instill so much panic in your husband that he begs his closest family members not to leave him alone with you… well, there’s a deep issue there, and you can only hope one or both of them faces it and gets some help. In the meantime, protect yourself with space, distance, and public meeting places. 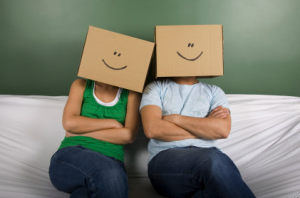 If all that fails, and the toxic continues seeping into your life with your husband, you may consider moving again. This time maybe farther from family instead of closer. LW, could you suggest that they see a grief counselor? Your SMiL could get help, and if your FiL is trapped in an abusive relationship, that would get him access to a counselor. That said, while the outbursts are terrible, the cleaning lists and home-project lists sound pretty reasonable. I don’t see what the issue is. Your husband has very rationally decided that he wants nothing to do with his step-mother. You apparently reject that decision, because you think it will damage his relationship with his father. I think you should not try to stop him from disengaging with this woman. It would be helpful to encourage your husband to find other ways to continue to connect with his dad, but that needn’t include this woman. I agree with Wendy. This crazy doesn’t come just from grief. It is telling that her own (now deceased child) was totally estranged from her. That likely resulted from a lot of crazy. Also, the nasty behavior isn’t grief driven. Likely step-mother never wanted the two of you in her house and never agreed with her husband’s proposal that the two of you be invited. Wendy is also right that you need to vacate that house yesterday. She really will destroy your things. I agree, something seems off here. Either the FIL is attracted to toxic women, or the husband has some issue that hasn’t come to the surface at this point. Very odd all around. It says a lot that her son was estranged from her since early adulthood – basically since he was able to be independent, I’d guess. Wendy’s advice is very good. Your FIL made his own bed, and he’s got to decide how to deal with it – counselling, divorce, whatever, it’s his rodeo, none of your business at all. Get out now and simply don’t expose yourself to any kind of crap you don’t like. Elsewhere on the net, I’ve heard people use this great phrase about avoiding toxic people: “You can’t set yourself on fire to keep others warm.” You can’t help FIL – that’s on him. You can’t change SMIL. Just live your lives, and seek people who support you and make you feel good. You’ll be fine. Better off in fact. What if it is a genuinely abusive relationship though? Would you be so blase about the FIL if he was a woman in the same situation? I think it’s vital to keep ties with him in any way possible in case he needs a lifeline. Stepmother is probably going to try isolating him from his son at some stage, the kids should be trying to avoid that rather than facilitate it. Now we know the reason why the son kept her out of his life. Call me cynical, but I doubt we’re getting the whole story here. The stepmom sounds cuckoo (and so does the mom… looks like dad has a “type”), but these things are rarely (if ever) one-sided. Her cleaning standards were meticulous, but moving into someone’s house (rent free!) means abiding by their rules with very little room for error. You didn’t hold up your end of the cleaning bargain and she snapped. You should have moved out when she said those terrible things to you during her (uncharacteristic?) meltdown, but you chose to stay and… expected things to be fine? Did y’all sit down with the stepmom afterwards in an effort to figure out how and if you could cohabitate peacefully? You weren’t held against your will here. I suggest taking some physical and emotional space from the stepmom before declaring estrangement. Move out and then spend a couple months without contact (and without venting with your husband about her) and then go from there. Time and space and self-reflection is what you all need. I agree that these issues are rarely one-sided. It doesn’t sound great that her son had no contact with her, but there could be many factors contributing to that beyond just her. Yeah I agree that if you live in someone’s house and part of the agreement is that you will help clean, you need to clean to their standards. Even if their standards seem silly to you. Even if they want something done every day and you think it’s fine to do once a week. Even if they want something done in a very particular way and you think your way is better. Snapping is still out of line but if the cleaning lists and the required chores are more than you’re willing to put up with and you know she’ll snap if you don’t do it right… then, yes, you should have left. You should do it right now. I agree with WWS. This is not grief. This is someone who very early in your position of house guest lost someone. Sure, it could be a grief reaction, but even those only go so far. I think it’s far more likely that had the son not died she would have still criticized and bullied the two of you, but it would have taken longer for it to surface and she wouldn’t have the immediate justification of grief. The things that she’s saying aren’t a product of grief – it’s something much deeper. I realize I’m ignoring everything else, but seriously empty the lint trap in the dryer after every use. Dryers account for 92% of home fires, with the leading cause being a failure to clean them. But yeah, move out and maybe suggest that your FIL looks for a counselor. It sounds like more than grief at play. I’m sure there’s issues with the estrangement from her son and lots of guilt. I never assume a lint trap is emptied when I’m loading the dryer and check/do it then. That is how I was taught to do it, maybe LW was too? You never know if someone did a load in between when you last did one. It’s best to check to see if the trap is empty before you start. My brother is a volunteer fireman and that’s the advice he gives. No, dryers do not cause 92% of house fires. The leading cause of house fires is smoking. Electrical faults and cooking also rank right up there. That makes me feel a lot better. Although I still empty the lint filter after every use and check it before each use. I’m cleaning my lint trap, right now! I’m a little torn on how to see this. I do agree that you should have moved out after her first outburst. I think at that time, it should have been clear that having people living in her home while she was grieving was not going to go well for anybody. I get that the dad was trying to get you to stay, but sometimes you have to use context clues and your own judgment. I could see my stepmom doing all of this, but she’s normally a little more composed. She’s very particular and likes things to be a certain way and if you don’t do them like that, she’s personally affronted. She came home from a funeral (a work friend) and I asked her how the ceremony was (because I was trying to show that I cared, and expected her to say it was beautiful or long or short or sad or whatever). Her response was to sneer at me and say, “It was a funeral? What do you think? What kind of question is that?” Anyway, my point is maybe that there’s something bigger, but maybe she’s just kind of bitchy and likes her personal space. I don’t think it’s necessarily true that the dad is trying to get a buffer. My dad encourages me to stay for long visits, even though it’s clear to me that my stepmom wouldn’t like it. So, maybe there’s more at play or maybe she’s kind of a mean person who is territorial and under stress. Either way, if your husband is open to it, taking some time and keeping her at arm’s length might be a good compromise. In addition to Wendy’s excellent advise, LW, your own recent past and see how it may have made this situation harder to deal with. We all naturally have more trouble saying no a second time. Getting away from the first mother might have made you initially connect the two, making saying no in the new position harder at first. Our first reaction is just a first draft. Easy to edit, in this case. The question should be: how do we grow up and become independent adults? Once you reach that capacity, the situation will appear very differently. -I needed an outside perspective to be told that I’m not crazy and this is not normal. So many (non-objective) people kept saying that it was the grief. It’s also just good to hear that it’s ok to cut someone out of your lives. Step-parent situations are tricky and you hear so many stories about step kids refusing to interact with step parents and parents getting caught in the middle. I needed to hear that in some situations it’s ok.
-My MIL is a classic narcissist. Like, Google “narcissistic mother” and she matches 16/20 easily. My husband hasn’t completely cut off contact with her, but we realized that living close to her was unhealthy for our relationship. I know, it’s weird to have so many crazy people in our lives. It’s not fun, that’s for sure. -Yes, we should have left right away, but I did want to believe that it was uncharacteristic outburst based on grief. Step-MIL actually said she was excited about our move and I stayed with them while interviewing for new positions. She was warm and welcoming during these visits and said she couldn’t wait for all these things. I really did want to believe that the first outburst was grief. I also didn’t mention this in the article, but we have 3 dogs (my family is dog sitting, they didn’t move in) so finding an apartment is a little more difficult than just calling the nearest complex. -We do clean. The issues come that she doesn’t tell us how she wants something done, doesn’t tell us when she has a problem (instead stews over it or complains to FIL), and makes it an end-of-the-world issue. For example: I cleaned the countertops using an all-purpose cleaner, but she wanted me to use Windex. She didn’t talk to us for 2 days, and then my FIL finally told my husband that we need to use windex on the countertops and stove because she saw streaks and that will ruin the kitchen. I thought Windex was used to clean windows unless you were a character in My Big Fat Greek Wedding, so I obviously wouldn’t think to use it to clean granite countertops. And claiming that a cleaner that every other household in America uses to clean her kitchen will literally cause the stovetop to break is a bit dramatic and ridiculous. We also cook and do “tech support” and dog sit and find lots of ways to try to earn our keep—I’ve lived on my own long enough to know how to be a good house guest and try to be respectful of their home and do whatever is asked of me. -Cleaning lists are fine, but the tone is insulting. They include things that I literally did the day before. Basically, they are made with the assumption that we are children who don’t know to regularly clean or do their laundry or take out the trash. And if we say something like “we washed the bedsheets yesterday,” we’re scoffed at, like we’re lying and lazy and just trying to get out of it. -I do worry about my FIL. As mean as she’s been to us, she’s taken it out twice as bad on him. Him and my husband actually have a wonderful relationship, and it this is really hurting both of them. We’re getting out and cutting ties, so I’ll update in a few months to let y’all know how this plays out.